What Instruments Are in a Chamber Orchestra? 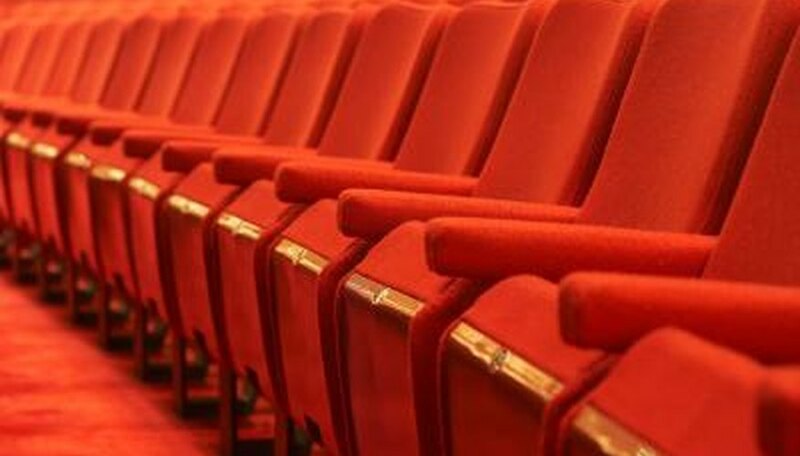 Many large cities with thriving music centers have both a philharmonic, or symphonic, orchestra, as well as a second, separate chamber orchestra. Those with only a little music background might think that there are different instruments between the two, but the truth is they have much more in common than they have differences. A chamber orchestra gets its name from its location, as they tend to play in a smaller space than a larger, more open symphonic hall. However, the name is mostly used to indicate a smaller orchestra than the larger philharmonic orchestra. The average chamber orchestra is about fifty to sixty instruments, whereas a philharmonic orchestra has around a hundred instruments. Other than the difference in size, however, the two versions of an orchestra are essentially the same. The music played by both mainly differs in the instrumentation, as symphonic orchestras often have a greater diversity of instruments. 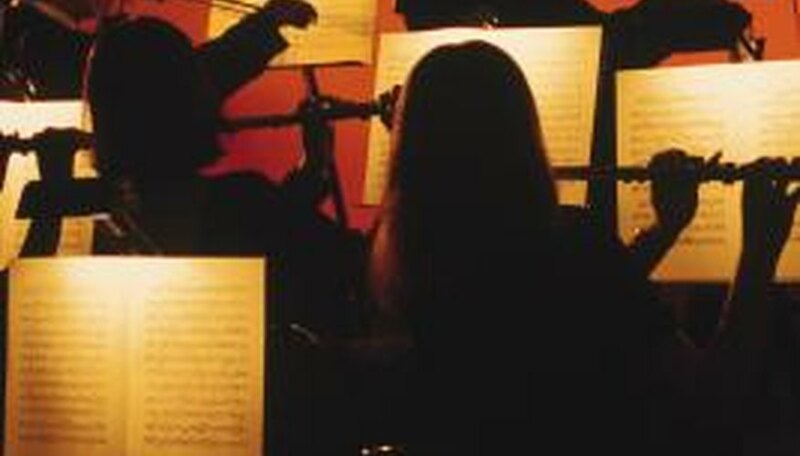 Like any orchestra, big or small, a chamber orchestra has four main sections. These are the brass, the woodwinds, the percussion, and the strings. There may also be a piano. Woodwinds are the instruments such as the reed instruments such as the bassoons, oboes and clarinets, and also the flutes and piccolos. 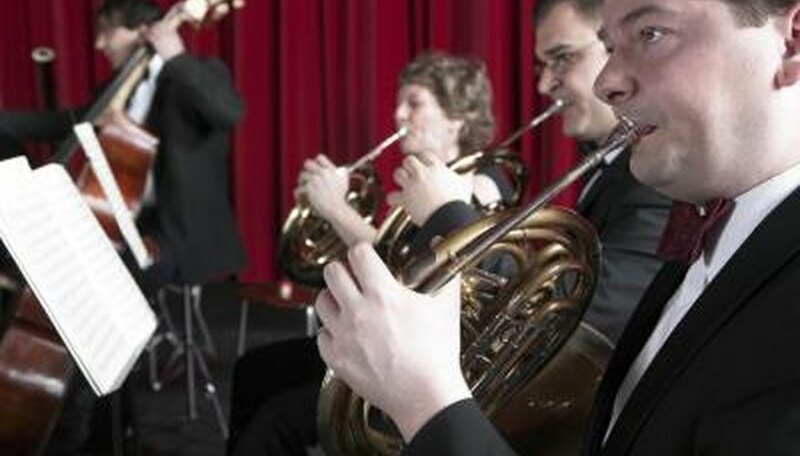 Brass instruments are the horns, such as the trumpets, trombones and French horns. Percussion instruments are the drums, the timpani, the cymbals and other similar instruments. The string instruments are the violins, the cellos and the other members of the string family such as the bass and violas. Of the individual instruments, by far the most represented in terms of numbers are the strings. The violins can outnumber the entire brass section, as orchestral pieces are often arranged primarily for strings. Violins, which may be half the orchestra, are arranged in first and second sections, with slightly different music. By contrast, the entire brass section--the horns, trumpets, trombones and tubas--may only have half or even a third the number of musicians as the strings. A chamber orchestra might lack the full range of brass and woodwind instruments; for example, they might not have a tuba or a bassoon. The composition of the orchestra often depends on the piece being played. 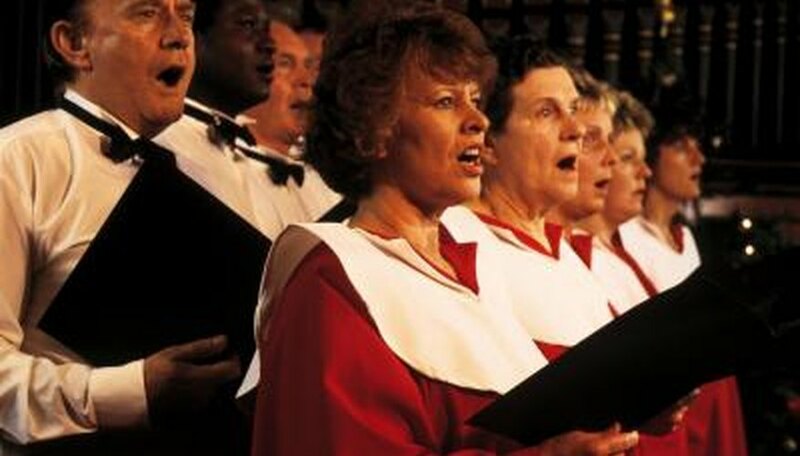 Some pieces, such as Beethoven's "Ode to Joy," require the addition of a choir to the orchestral ensemble. Usually the choir will be placed behind the orchestra. The various sections of the orchestra may also perform as separate ensembles, for example, a string ensemble or a brass ensemble. Specific combinations may also be part of the composer's instructions for the piece. So even for a chamber orchestra, the number of musicians required may change from performance to performance. 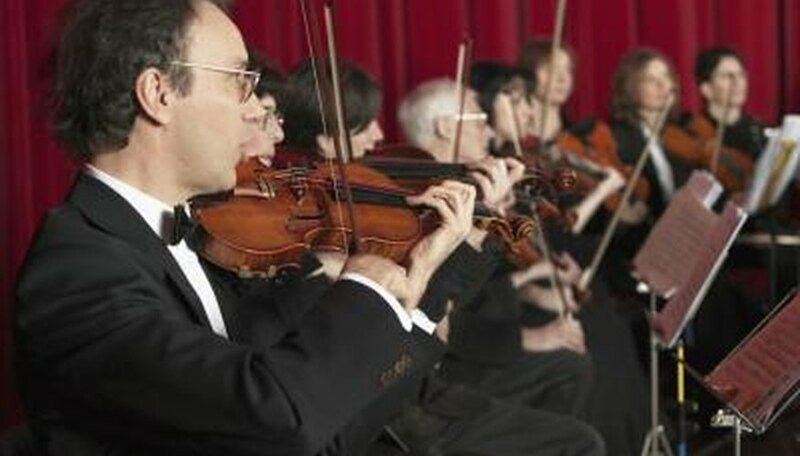 Because of their smaller sizes, chamber orchestras are often considered to be a more intimate musical venue than a full symphony orchestra. Earlier chamber orchestras were also much smaller, with as few as a dozen musicians. This was especially true during the Baroque and Classical periods, and can be seen in the works of Beethoven, Mozart, Haydn, and other notable composers. 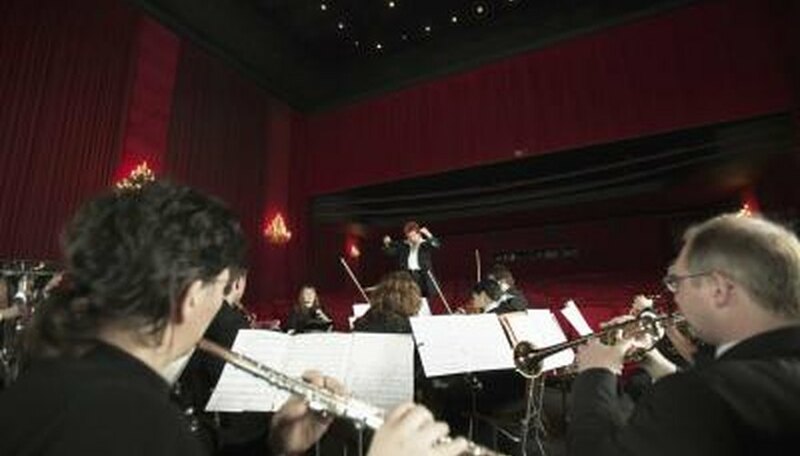 The size of an orchestra didn't begin to expand until the 1800's. Although today's professional chamber orchestras tend to be larger than their historical counterparts, the idea remains the same. How Many Instruments Make Up a Full Orchestra? What Are the Different Types of Orchestras? What Instruments Are Used in Italian Classical Music? What Are the Instruments of an Orchestra? What Instruments Are in a Brass Band? What Instruments Are Typically Used in Chilean Music?